The rough stuff is right here in front of us, but it gradually recedes to softer and less defined memories. 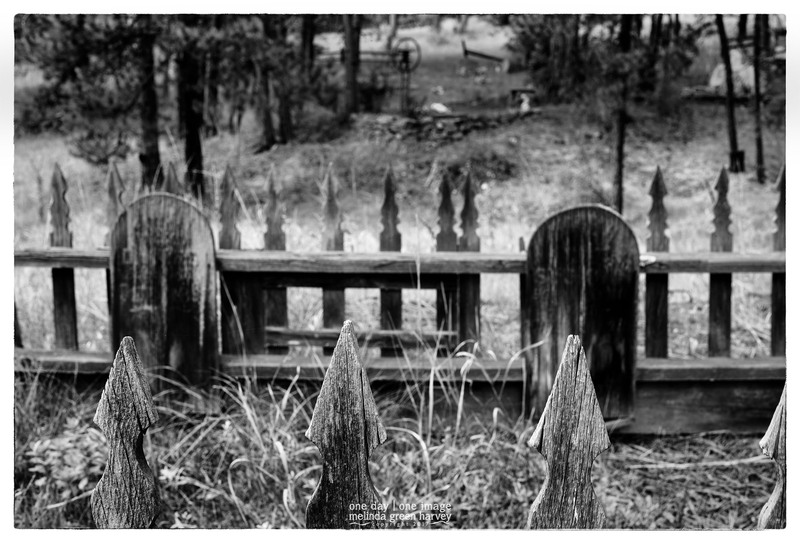 Posted on February 3, 2017, in Photography and tagged 365 photo project, black and white photography, cemetery, colorado, Evergreen Colorado, Leica, melinda green harvey, monochrome, one day one image, photo a day, photography, postaday. Bookmark the permalink. 11 Comments. I love your cemetery shots, Melinda. I hope, too. Thanks! My photography teacher over the summer told us not to take pictures in cemeteries. I ignored him on that. And on some other stuff, too. Sometimes, hope is all we’ve got. I’m guessing that by banning cemeteries, he thinks he will be banning cliché, but wouldn’t it be better to teach his students how to see a cemetery in a way that is personal and original? Or see anywhere else in an original way for that matter! Glad you ignored him! He was supposed to be great teacher, but he and I didn’t click very well. Oh, well. I kind of want to see those less defined moments up close and in person. At least the ones in this photo. That elevated wheel for instance. I didn’t even notice the elevated wheel at the time. Calls for a return visit, I guess, because now you’ve got me wondering about it. Looks like a bit of a graveyard for old farm equipment, if I squint just right to correct the blur. It was actually a graveyard for people. But maybe someone snuck a tractor or something in when no one was looking. He DOES have an eye for this sort of thing.